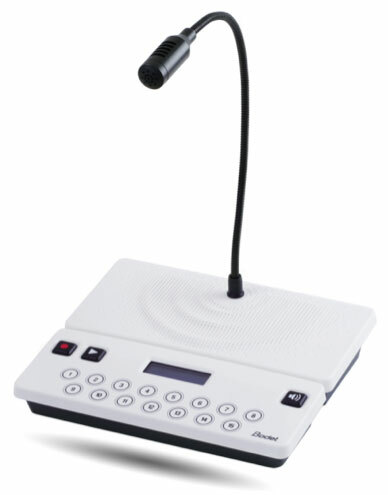 The Harmonys microphone can be used to broadcast live or recorded announcements throughout a site or within a specific zone. With a capacitive keyboard the microphone offers a practical and ergonomic design. Screen to view the name of calling areas. Speaker to play back messages. 2 models: 8 or 15 zones. 3 function buttons to record, broadcast live messages and broadcast recorded messages. Configurable jingle played before the spoken message.